Lamar Odom comatose: The onetime Lakers star was found unconscious in Nevada. Lamar Odom, who was playing for the Los Angeles Clippers at the time, at a game against the Denver Nuggets in Colorado on March 7, 2013. Former NBA star Lamar Odom is still in a comatose condition after what appears to have been a stroke suffered during a drug overdose, E Online reports. 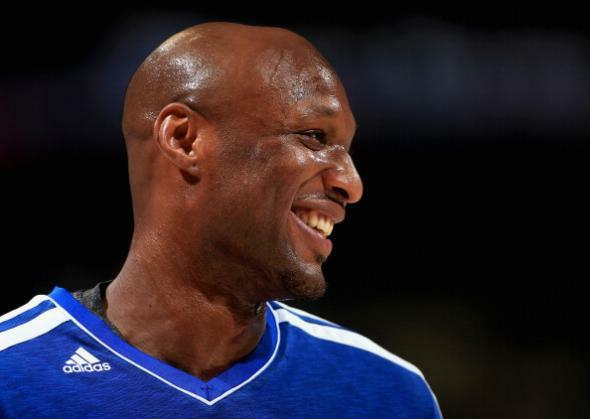 Odom was found unresponsive on Tuesday at a brothel 90 minutes from Las Vegas and has been unconscious since. “Cocaine and opiates” were found in his system, TMZ says. Odom, the 2011 NBA Sixth Man of the Year, was a key member of the Los Angeles Lakers teams that won championships in 2009 and 2010 and of the United States team that won a gold medal at the 2010 basketball world championships. He married reality TV star Khloé Kardashian in 2009 and appeared several times on the show Keeping Up With the Kardashians; he and Kardashian separated in 2013 and were officially divorced in July 2015.